Ron Previte, the mobster-turned-government-witness who described himself as a "general practitioner of crime," died last week of a heart attack. A memorial and visitation service is scheduled for Wednesday in Hammonton, Atlantic County. Big Ron Previte, the mobster-turned-government-witness whose cooperation brought down three crime bosses and changed the face of the Philadelphia mob, died last week after suffering a heart attack, according to family members and friends. A former Philadelphia police officer who once said he learned the most about how to be a criminal while working as a cop, Previte was a larger-than-life figure who never tried to sugarcoat who he was or what he had done. Six-foot tall and sometimes weighing 300 pounds, Previte (pronounced prev-i-tee) was an imposing and intimidating figure, but he also was a shrewd and astute underworld entrepreneur. He described himself as a "general practitioner of crime" and admitted his involvement in almost every mob gambit...with the exception of murder. "If a guy owes me money and I kill him, how am I gonna get paid?" he asked, explaining that beatings, assaults and intimidation were part of his business, but murder was not. Born in Southwest Philadelphia, Previte grew up in Hammonton, a South Jersey town that he loved. He opted not to go into the Witness Security Program after testifying in a 2001 racketeering trial that led to the convictions of Joseph "Skinny Joey" Merlino and six co-defendants. Instead, he remained in South Jersey. "Where am I gonna go?" he asked. "I like it here." Previte wore a body wire for more than a year, recording conversations for the FBI while helping to make cases against Merlino and titular mob boss Ralph Natale. He often said wearing that wire on a daily basis was the most exciting time of his life. Faced with secretly recorded Previte conversations that placed him in the middle of FBI-monitored drug deals, Natale ultimately decided to plead guilty and testify for the government. 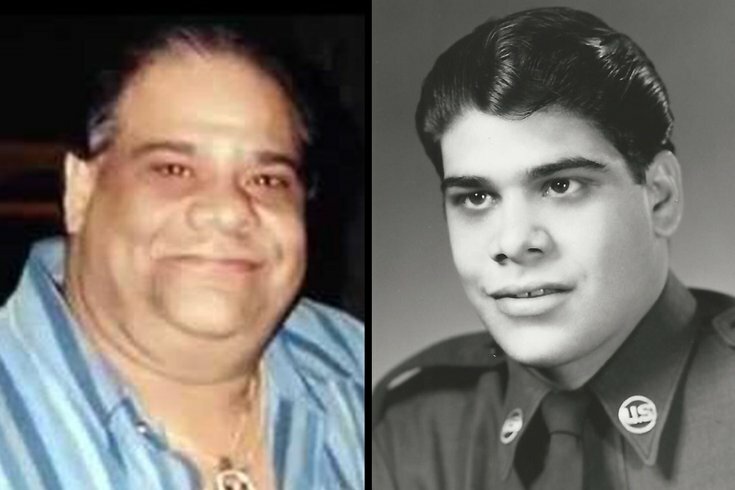 Tapes made with Merlino and his associates helped build the racketeering case against them at trial, although Merlino and his associates were acquitted of murder and drug dealing charges. Previte's decision to remain in the area after his testimony caused concern in some law enforcement circles, but he was adamant about staying put. Part of that might have been based on a lifetime of operating on the edge. After becoming a witness, Previte knew he could not go back into the underworld, but by staying in the Hammonton area kept him on that edge. Another reason, of course, was his strong family ties. Previte, who was 73, had a strong attachment to his two adult daughters, his four grandsons and his ex-wife, with whom he remained friendly. He also was close to his two sisters and dozens of other family members and friends. He saw no reason not to be with them. Those who knew him were not surprised. George Anastasia called Ron Previte “The Last Gangster” in his book about the mobster. Ron Previte always lived life on his own terms. "More guts than anyone and the best at thinking on his feet," said John Sheeran, a retired investigator with the New Jersey State Police and Division of Criminal Justice. Sheeran is most responsible for bringing Previte into the law enforcement fold after he had become a major – and independent – player in the underworld. At the time Previte, who had "retired" from the Philadelphia Police Department – "I was asked to leave," he said with a smile, "but they never had enough to charge me with anything – was working security for the then-nascent Tropicana Casino Hotel in Atlantic City. By his own account, he was "robbing the place blind." But Sheeran was building a case against him and Previte decided to become a secret informant to avoid prosecution. Previte often talked about his life in the underworld as a game of wits and instinct. And while there are those against whom he testified who would and who continue to belittle him – the "Fat Rat" was what they called him, among other things – Previte was unfazed by what they would say and, to an even greater extent, by who they were. By the time he got involved in the 1990s the American Mafia had lost its way. Respect and loyalty had been replaced by deceit and treachery, he said. It was all about money – a concept he could embrace and would benefit from – but it was no longer a thing of honor. "You'd have to be Ray Charles not to see it," he said in typical Previte fashion. So he made his deals with law enforcement. They were "insurance policies" in a game that he knew would end badly either for him or for those he was helping target. As a soldier in the mob family controlled by John Stanfa in the early 1990s, Previte fed information to the State Police and FBI that not only led to the convictions of Stanfa and more than two dozen associates, but also saved the lives of many members of the Merlino-Natale faction who were at war with Stanfa. After Stanfa and his crew were indicted in 1994, Previte managed to insinuate himself into the Merlino group. While members of that organization now profess to have been suspicious – the fact that Previte was one of the few Stanfa members not indicted should have been a tipoff – Previte said he was able to allay any concerns by bringing envelopes stuffed with cash to Natale and Merlino. "They were blinded by their greed," he said, recalling how the FBI would provide him with anywhere from $1,000 to $1,500 to bring as "tribute" on a regular basis. All the while, Previte was wired for sound. The body wire recordings, his testimony and the convictions that sent dozens of former crime partners to jail were part of an end game that began when he first struck his deal with Sheeran. Previte won. He never gloated about that, but he took a certain amount of pride in having figured out how to survive and prosper in a game where death and prison were the two most common outcomes. In the end, it wasn't the mob, but poor health that brought him down. He suffered a heart attack on Aug. 18, according to family members and friends. He died at the AtlantiCare Medical Center in Galloway Township three days later. A memorial and visitation service will be held Wednesday night (Aug. 30) at the Carnesale Funeral Home in Hammonton. "I can't complain," Previte said a few weeks ago after several medical setbacks and a steady decline in health. "What's the point? I did a lot of things and I did them on my own terms. How many people can say that?" 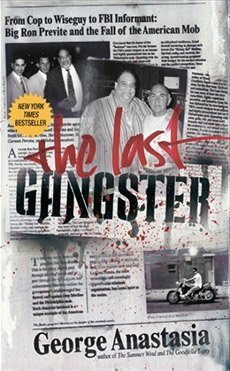 George Anastasia is the author of THE LAST GANGSTER, the story of Ron Previte's life in the Philadelphia underworld.